Pizza Hut is an American restaurant chain and international franchise founded in 1958 by Dan and Frank Carney. The company was originally known for its Italian-American cuisine menu including pizza and pasta, as well as side dishes and desserts. As part of the Australian rebrand, the latest flagship dine-in store, located in the Sydney suburb of Waterloo, will also function as an innovation lab to test concepts to then roll out in select stores across Australia. A second concept store in the Western Sydney suburb of Marsden Park has also been opened, and a Darwin location plans to open in May. 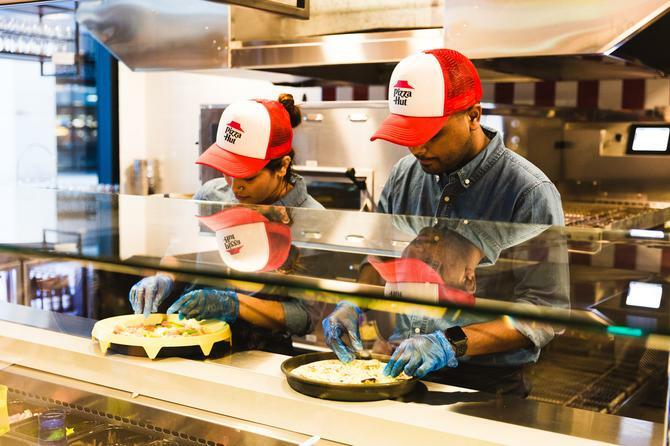 At least eight dine-in stores are slated to be opened this year, according to innovation director, Matthew Sawyer, who said the new concept stores are bringing back some of the menu favourites from the old Pizza Hut days but with a new twist. Sawyer said the new business model has a “glocal” philosophy: Globally relevant with adaptations to suit the local community. The goal is to connect with the different local communities around the country by tailoring the design and also the menu. “Our new store will have food created specially to please the residents in the area. In other locations, we will tailor certain menu items in the same way. This reflects our approach of fusing glocal and local for our brand,” he said. Sawyer said the new company moves, which were a year-and-a-half in the making, aim to respond quickly to customers’ changing demands. In terms of target market, the company is eyeing a number of different consumers. “We’re after millennials, but we are also re-engaging with families, so Mum and Dad, and we’re also looking at group occasions as well as single occasions,” Sawyer said. 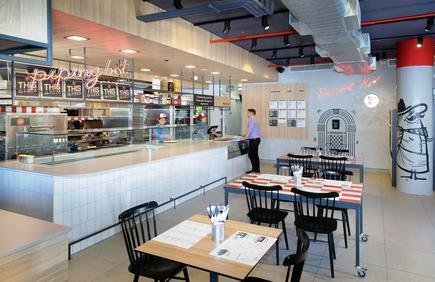 The company studied different models across the US, Europe and Asia, as well as trends and research in the fast casual dining consumers, in order to come up with the Australian look and feel. “There are varying different fast casual models globally. Some of them appear to be more of a cookie cutter approach, but what we decided on was more of a glocal approach. So you will feel elements of what Pizza Hut is, but there will also be that tailored approach for each site as well,” Sawyer said. 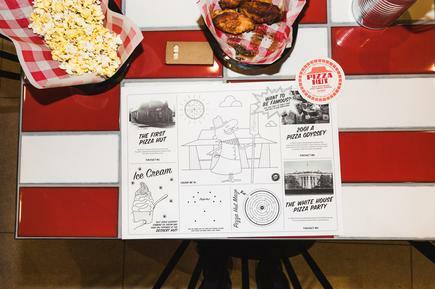 Pizza Hut also plans to ramp up activities on the social media front with more engagement on Facebook, more geotargeting, increased social plays with Instagram and relying on local influencer marketers and bloggers to spread the local message. This is in contrast to outdoor campaigns and advertisements. Marketing activities fall within the innovation department, led by Sawyer and joined by brand manager, Jennifer Lim, who will focus on PR, local content and social. Lim has experience in the FMCG space, with QSR and fast casual restaurants, and worked as head of marketing for McDonald’s in different countries around Asia.